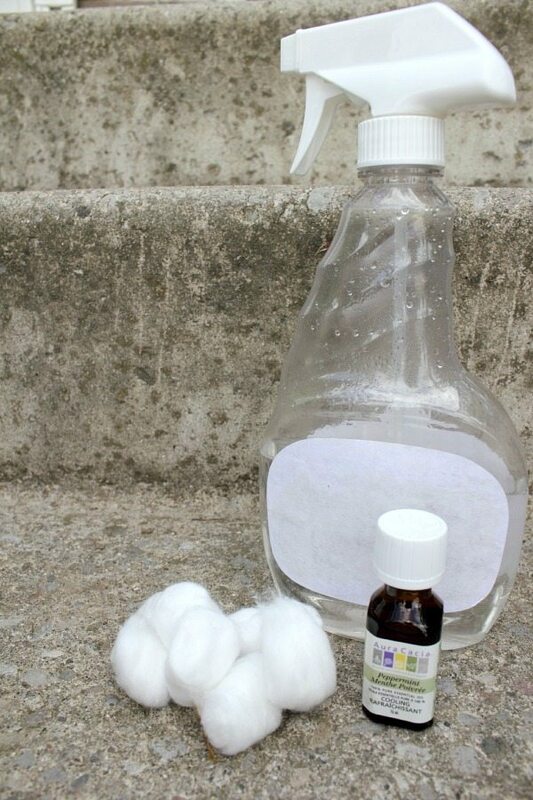 DIY Spider Spray: Repelling Spiders with Peppermint. Does it really work? Have you heard of using peppermint oil for spiders? Here’s the method for repelling spiders with peppermint oil and the results! Does it really work? I’ve heard from a few different sources now that spiders really don’t like the smell of peppermint and that you can use peppermint oil for spiders trying to get into your home. When I first heard about this, I have to be honest: It seemed like a dream come true to me. I’m not deathly afraid of spiders, per se, but out here in the middle of nowhere, we really do get a whole lot of them. August and September seem to be the worst months as far as I can tell and they make a terrible mess all over the house. It can get a little embarrassing sometimes if I don’t keep up with my de-spidering duties. Of course I could get my house sprayed for spiders, but I’ve been avoiding the scary chemicals as much as I can, especially this year with the baby on the way. This seems to be our spiders’ favorite hangout. 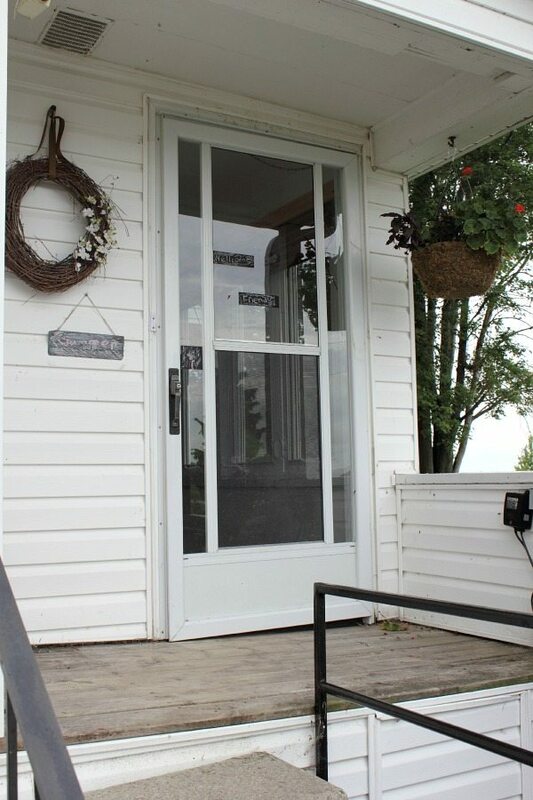 Our humble little side entrance that everyone uses instead of the front door. They’ll just cover the door right up with their webs if you let them. Lots of spider webs being put up in every corner. 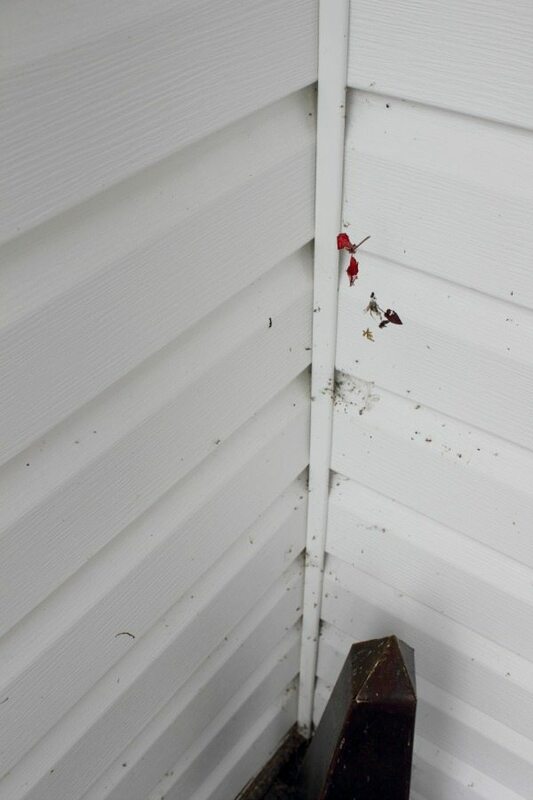 Dead flies and other various little bugs trapped in the webs all over the siding. Just ugliness all around. I followed the instructions that I’d heard about. All it takes is about 15-20 drops of peppermint essential oil in a spray bottle of water. I used 30, just to be sure. You can also put the essential oil directly on a few cotton balls and tuck those into corners and crannies that seem to be frequented by spiders. So quick! So easy! So delightfully Christmassy smelling! Could this be the answer to my prayers? Does it really work? Can you use peppermint oil for spiders? I went around and de-spidered the whole area with my special de-spidering broom, then sprayed the whole area with the peppermint spray. Then I placed the cotton balls. Then I repeated all this 3 days in a row. The webs seemed to be getting worse and worse everyday! This area has a little roof, so it doesn’t get wet when it rains. So it wasn’t that the peppermint got washed away. Will this work for you though? I don’t know. A whole lot of people seemed to rely on this method. It’s worth a try, really, just for the delicious smell of the spray alone. -Spiders are supposed to dislike strong scents in general, so you can try other oils like lemon, cinnamon, or tea tree oil. I’ve had some luck with the tea tree oil in the past. It definitely kept the spiders away more than the peppermint did. 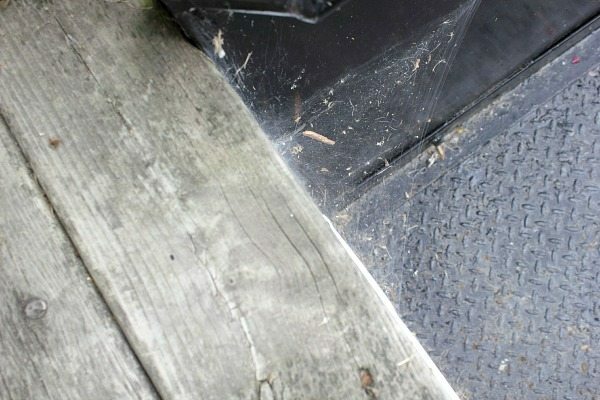 -Keep the spidery area super clean and tidy. They especially like cardboard boxes, so keep them stored somewhere else, or replace them with lidded plastic tubs. -My most successful method: Get an old broom that you can use frequently (1-2 times per week at least) to clear away new webs and bug carcasses. Spray the area down with the garden hose each time you do this. Use a nozzle with a very strong spray. I find having to get out the old broom and garden hose so regularly to be really inconvenient, actually, but it seems to be the only thing that really works. 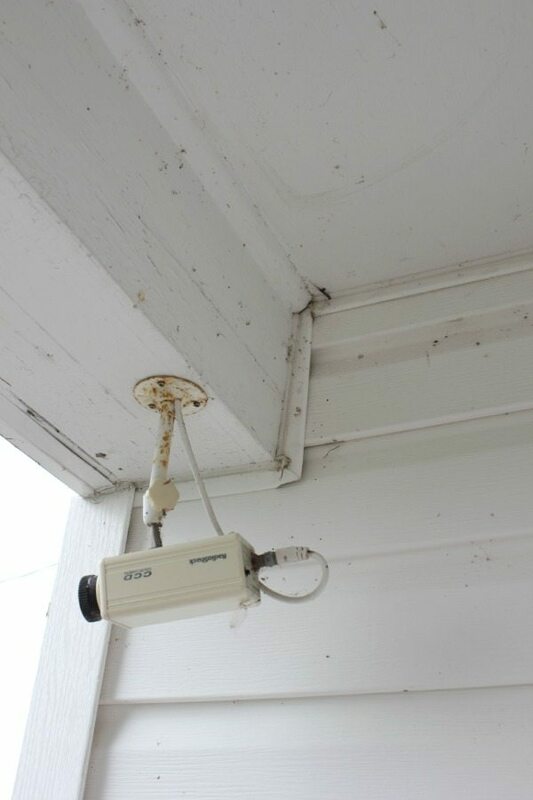 The spiders truly seem to think twice after I do this and the re-occurrence of webs seems to lessen significantly after I give the area a really strong spray. I wish it was as easy as a sweet smelling spray bottle, but for me, that’s just not going to happen! Good luck with your own spidery situations! If you’ve got any other great tricks (ones that really work for these crazy country spiders), I’m all ears! 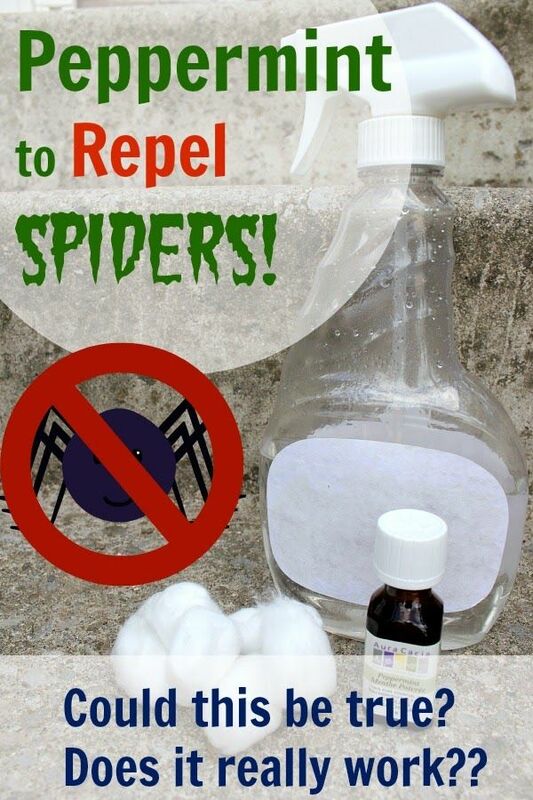 Have you ever tried using peppermint oil for spiders? How to Use SALT to Finally Get Your Weeds Under Control! How to cure a nasty sinus cold using essential oils! Neem oil? I used it when I was on an all natural kick and it seemed to help. It may be harmful for you though so check first. But we live in the Sonoran Desert and when the Black Widows appeared I threw in the towel and went for the poison. I’m like you, Carol, I went for the poison. I have good one. I don’t spray in the air, not good for us. And I only do a room at a time, or hallway, wear something around my nose and mouth, then get out for a while, while any floating spray settles! I spray directly, fairly closely, at floor level around skirting, around door frames, window frames, around the feet of my bed (I had a nasty visit one night). I have found that if I spray directly onto the surface, the effect lasts a long time, as the blighters hate the smell… apart from killing them. I do the same in the shed, oh, and that reminds me, I gotta get the loft done. I’m fine when I see them outside, but inside… it’s them or me! So many “remedies” are enthusiastically posted and re-posted without anyone ever testing any of them. Thanks SO much for trying it out. And I do know that spiders eat other bugs, but I’m pretty sure their mess isn’t worth the relatively few Georgia bugs they eliminate. I’m off to get the broom and the water hose. We get spiders on our front porch, not to many but a few webs in the corner, and that is our main entrance so like you I attack them with a broom. I had heard about spiders liking cardboard so years ago I switched to all plastic storage containers in our basement. I was excited to read this because my unfinished basement that houses the laundry is very spidery and gets so webby like once a week. I laughed out loud at the results. Thanks for testing! Good to know! I have people come out every three months to spray but we’re almost due again and they are getting bad…luckily they seem to be staying outside the house for now! I don’t know how to be rid of the creepy critters, but once I see em, I stop em in their tracks with hairspray. 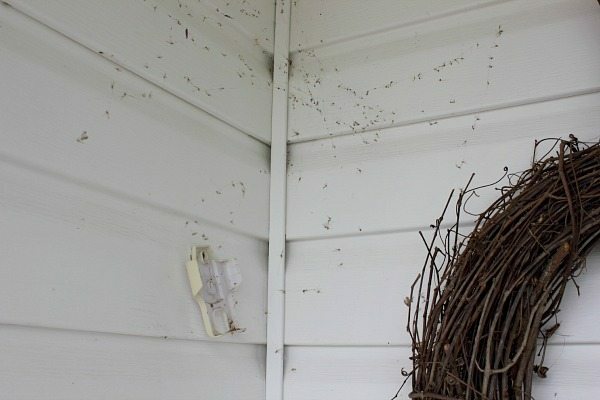 I use it on their nests too before the baby spiders can scatter. Works great. I use hairspray too…..to kill wasps…..first I spray them…..then I hit them with the can…. ROFL! Is it really necessary to spray first? it .seems to me that a can in the face is all a wasp needs. As for spiders, we have a lot in australia. Especially the Sydney funnel web and red back spiders. 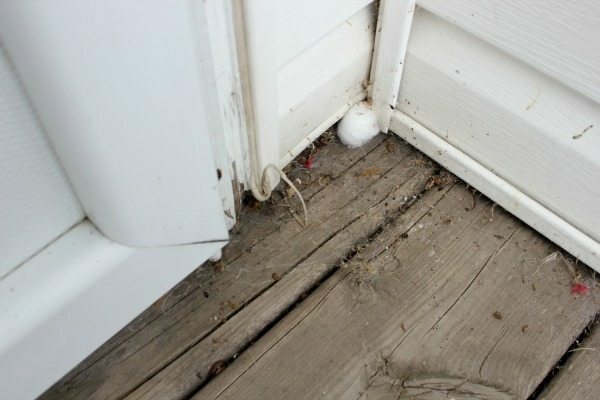 I spray the 6mth outdoor bug killer on all of my window sills, door frames and inside any vents that we have. But my tru hate is the cockoach! Sydney is overrun with roachess. i wonder if they like peppermint? I have a friend in Texas who uses a rolled up newspaper. He lights the end of the newspaper on fire and holds it near the wasp nest. It takes little prompting to get the critters all flying out of their nest, then the fire burns off their wings and they fall to the ground. After that it’s a matter of stepping on them all. Of course, he wears boots and usually has a beer or two before starting the process. I haven’t tried this, but maybe this might work inside, where the essential oils wouldn’t just evaporate into the great outdoors? I had peppermint plants in flower beds & pots around the outside of house with Lavender plants & lemon grass plants. A few more plants are Lemon Balm (good shade plant) , Citronella plants Cinnamon Basil, Rosemary . These plants will also keep away mosquitoes, mice, spiders, ticks and fleas. If you have a dog every few days put 3 drops on lemon grass oil on it’s collars. you can also spray peppermint oil on bedding. What is very important is that you use 100% oil Natures Made & Now are great brand at a modest price. On cotton balls and bedding I would apply oil directly (not diluted), chose a few of these plants to plant around your pets area outside and you entertaining area, I can’t want to get mine all finished. Good Luck & Hope my information helped. I’m planning to plant the same flowers and plants. I heard they hate these and it will keep them away. Has this worked for you? I’m glad someone (you) tested it. I hate being told folk remedies that don’t even work. I have one tip though. 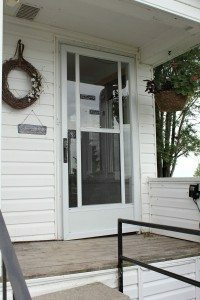 Use yellow fluorescent light bulbs for your porch lights. This will attract less insects which in turn will attract less spiders since spiders go to places where there is light and food (insects). Most insects cannot see yellow light. They only hover around white lights. Awesome! That’s really good to know! Thanks so much for sharing, Brian! Haha, what repels flies is spiders! And this is why I’m here. Wondering if any of you trying to get rid of spiders know how to attract them? Our home has this terrible tendency to attract a huge amount of flies all year round, while my husband and I really don’t mind the buggars! So for now we’ve put a few pots with herbs near window sills, waiting and hoping for a spider web to pop out from somewhere. I can’t find info anywhere on how to attract them, only this article: http://bit.ly/1QG5edk , which also talks about getting rid of spiders but describing what attracts them. In the most part it’s about gardens and we don’t have one yet. Any kind of advice would be greatly appreciated. We were getting the same issue here in Hastings, Mika. We bought a tassel door screen and it works wonders. I don’t know whether flies see it as a solid object, or as a spider web, or as something else entirely, but we don’t have the fly ballet going on in our lounge anymore. It’s available from Amazon. Here’s a link to one company offering it. You may find it cheaper if you feel like shopping around. Good luck! Can use scope with a little water in a spray bottle and spray the area where you well be sitting and this should last for many hours……its the blue color I seem to think but you can get it in a travel bottle size . If the blue doesn’t work then its the green. I haven’t made it in years. Might be one of those you can goggle too. Neat tip! Thanks for the idea, Sadie! Yea I found a spider on the cotton ball that had peppermint oil on it, to get rid of ants, so I looked up if it attracted them. So, since you said try tea tree oil, I should have some I will try, I have eucalyptus oil. I will have to try something else I already found 3 spiders in my new apartment. Good post thanks. At least I can have the other oils too incase the first one doesn’t work. I am going to tell you the essitial oil you used is a low quality brand. From my own expirence they do not smell potent. In comparison to young living peppermint essitial oil, aura cacia is far from pure. In fact, the company aura cacia is adement about not internally ingesting their oils. It doesn’t take rocket science to know that peppermint is edible, so this to me raises a red flag. I use young living peppermint oil. I have not tried this amenity yet, but I am sure I’ll have better results with the purity of young living versus aura cacia. I can tell you I sometime put one drop in my water bottle. I swear I can refill my water bottle 4-5 times and still taste peppermint. It is very potient. I think before you come to this conclusion for good you should at least try using a brand that you can actually ingest, that doesn’t wear off easily & is potient. Hope my suggestion helps. No oils are safe for ingestion. Multi-level marketing companies will give you inappropriate, unsafe advice. The reason Aura Cacia says not to ingest their oils is that they are following established safety guidelines. I steer clear of any companies giving misinformation when selling their products. It also doesn’t take rocket science to know that peppermint essential oil is not the same thing as ingesting a peppermint leaf or drinking peppermint tea. One drop of peppermint oil is equivalent to 28 cups of peppermint tea, and it’s inadvisable to consume that much peppermint in one sitting. It’s not about how pure a brand is, it’s about the fact that something that concentrated is a toxic load on your kidneys and liver. We live in the UK and a good remedy for spiders indoors is to place conkers (aka horse chestnuts or buckeyes) on window ledges and in the corners of the rooms. We used to get lots of house spiders – nasty evil things as big as a saucer, and we are both terrified of spiders. Now we hardly get any. Thanks, Tony! I’ve heard of that one! I guess we’ll have to see if we can grow some horse chestnuts! Hi! I was in the same position as you. My friend who is trained in essential oil told me that the drops recommended on most websites are not enough. You should add 3 to 4 drops per ounce for indoors but 7 to 8 drops per ounce outside. I use about 60 drops per 8 ounces of water outside. You have to also add a drop of soap. Using 15 to 20 drops per 8 ounces is ok for inside. It burns spiders and they die when they walk through it. It also asphyxiates them. It can be fatal for cats and infants and you if you use too strong of a dose. You can suffocate. I use the super strong mixture for outside and around kitchen sink and bath sink. And the normal recommended dose for all other inside areas. It works. I find dead sun spiders & roaches & scorpions all of the time. You have to also keep a pristinely clean home. Yes, sweep, hose, etc. You have to spray only once a month in the winder, but twice a week in the summer. Oh and I forgot to mention. Using lemon oil on all of your hard wood surfaces repels as well. If I haven’t cleaned in awhile or sprayed they will take over my house. I live in balmy SW Florida, and all of the bugs are outrageous! Yesterday, I discovered what I thought was ants in my car door sills. How about baby spiders? At least 2-3 different colors? I’m petrified of spiders and last time I found one inside my car, I almost ran off the road! So, I sprayed 30 drops peppermint oil in 1/2 cup vinegar and 3/4 cup water and a drop of antibacterial soap in all of the nooks and crannies. Instantly, they began to scatter! I sprayed over and over until my supply ran out. I made another bottle and will go back! Praying this is effective. 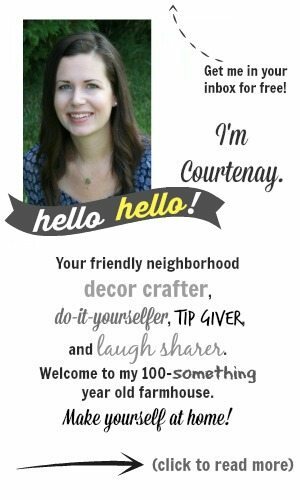 For my house, I’m getting an exterminator. I don’t mind the smaller spiders and their webs since they keep other nasty bugs away (I have a weird aversion to moths that the spiders thankfully help me with). My issue is these HUGE spiders that have been roaming my new house! They’re the size of a silver dollar! Quite terrifying to wake up with that standing on the wall above your head! I have a bottle of peppermint oil that was leftover from when I was trying to repel mice (and the oil worked quite well for that), but I was hoping it would repel spiders, too… maybe not. I used to be phobic about spiders – now I can at least get close enough to squish them. I hate spiders indoors, so want to keep them outside where they can eat all they want. I’m about to try the peppermint spray both inside and outside (along the foundation). I keep finding a tiny ‘daddy long legs’-like spider in my shower. It’s always in the same place – right at the ceiling by the wall with the shower head on it. They start as a teeny-tiny body with long spindly legs. The next day there’s another teeny-tiny one. So we strike up a new conversation. I’m intrigued how they all seem to pick the same spot, and why’s there only one at a time. 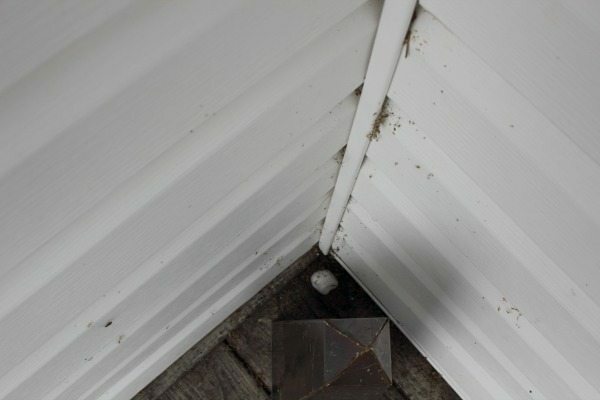 We’ve been over run with the nasty brown recluse, and I’ve found that anywhere you find bugs you will find spiders. Eliminate the bugs first, then put sticky glue boards Everywhere to get rid of the spiders. I put the boards in attic, crawlspace, behind furniture and doors, closets, literally everywhere. I also calked any openings, including around doors, windows, bathtubs, and pipes coming into the house. They aren’t gone completely, but greatly reduced. I may try some of the oils just for good measure! I forgot the most important part, bait those glue boards with bugs, and the spiders will come. Good luck! Hi, I am so glad to find ur page. I read so much about peppermint oil and tried to use it when I saw spiders. And guess what? They moved TOWARD the peppermint oil not away. I am planning to try vinegar spray next. Will try the tea tree oil as u suggested too. I live in the desert of new Mexico… Where I battle cockroaches and spiders and ants. I also have pets and kids. I’ve tried every home remedy out there with no success… Then i was told about diatamaceous earth. BEST THING EVER. It’s a powder. Safe for humans, and animals. You just spread the powder everywhere… its kind of messy… but super effective. It doesn’t kill immediately.. but the bugs take it back to where the came from and share it with their friends. It’s made of some kind of crystal powder that gets on the bug and crushes them from the inside. It sticks to them and they trail it back to the nests. Like I said it’s not instant, it takes a couple weeks. I put it on all my window sills, along all my baseboards, along all my foundations inside and out. In all my cupboards and drawers. Its perfectly safe for food. Outs actually food grade edible for humans. I had a horrible ant problem for years until I discovered this stuff. I’ve been ant free for three years now. The instructions say to replace it after a few days… but I’ve never replaced mine…. at least in the hard to reach areas.. unless it gets wet. Its literally the best and safest stuff I’ve ever found. I can count on one hand how many spiders and roaches I’ve seen in my house since I started using it. You can get a huge bag at Lowe’s or home depot for less than 15 bucks. Totally worth it. I wouldn’t use peppermint oil to get rid of ants. I currently have an ant problem in my kitchen. I keep it clean but those suckers won’t go away. I’ve tried vinegar many times and it does lessen them, but they still keep coming. I placed cotton balls with peppermint oil in three different spots in my kitchen and just for fun wiped the counters down with it. I left the house. When I came back there were literally about 30 ants all over my counters and kitchen sink. I smashed and drowned them all and then spent the next two hours killing another roughly 20-30 of them. I think they actually LOVE peppermint oil. I’ve never had that many, especially at once! My sister told me about walnuts to stop spiders. She just cracks them open and places them in each corner of her windows. Now me, I have placed the nut inside a mesh bag and have hung two up on my curtain poles in every room. So far I have had only 3 in my house and they are the daddy long legs. Seeing as I have only had them hanging for about 4 weeks that to me is a result. Don’t know if this is just my imagination but I don’t seem to have that many flies either since hanging the nets up. Wow! Thanks so much for sharing, Heather! I’ve never heard about that one! I live & work in Myrtle beach, SC. I deal with spiders all week long. That is till I found a recipe called web out. Works well for about a month. 39 oz- room temperature water. Shake well ever time you use it. I live in an old house (100years +) and the webs were all over the place. I started using just a mixture of distilled water and peppermint oil in a sprayer. I sprayed all the windows, corners, baseboards etc –gave them all a good soaking. And cked back a few days later — no more built up. I do have to go around and spray about every 3 weeks but it has definitely worked for me..